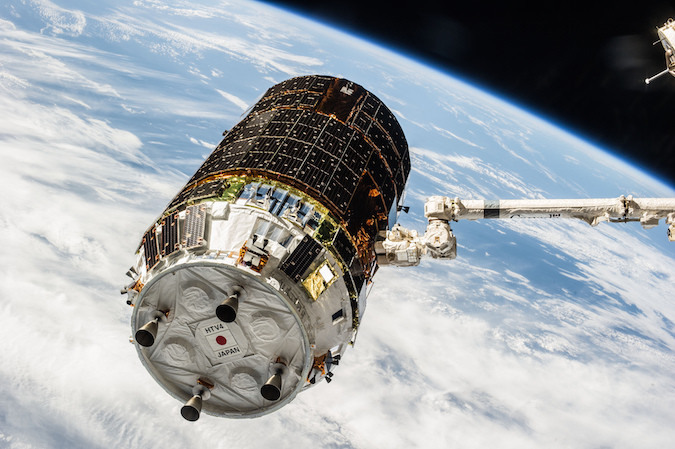 The HTV, carrying a fresh set of batteries for the International Space Station’s solar arrays, was scheduled for liftoff from Japan’s Tanegashima Space Center on Sept. 30. But in a short press release, the Japanese Aerospace Exploration Agency said the flight was on hold pending repairs of a “slight leak” found during a pressure test. The leak is located in the cargo ship’s propulsion system and sources said extensive work may be required to fix it. But Bill Gerstenmaier, director of space operations at NASA Headquarters, said in an interview it may be possible to launch the HTV sometime in October. 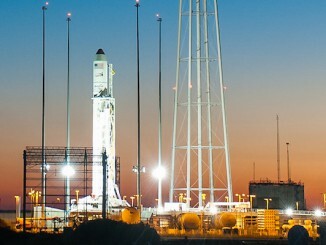 Orbital ATK, meanwhile, was gearing up for launch of its Antares rocket, the first featuring new Russian-built RD-181 engines, on Aug. 22 from the Mid-Atlantic Regional Spaceport at NASA’s Wallops Island, Va., flight test facility. But NASA sources say analysis of test firing data indicated unusual vibrations that have prompted engineers to reassess the booster’s throttle settings. 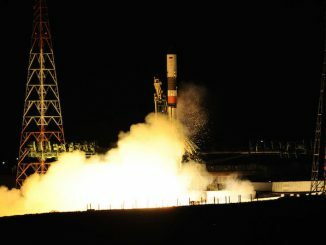 That on-going analysis, along with other issues, made a launch delay almost certain, and the HTV slip will give the company more time to complete its launch preparations. Had the HTV launch stayed on track for Sept. 30, the Cygnus cargo ship atop the Antares would have had to be launched, berthed and unberthed by Sept. 10 to make way for the HTV. 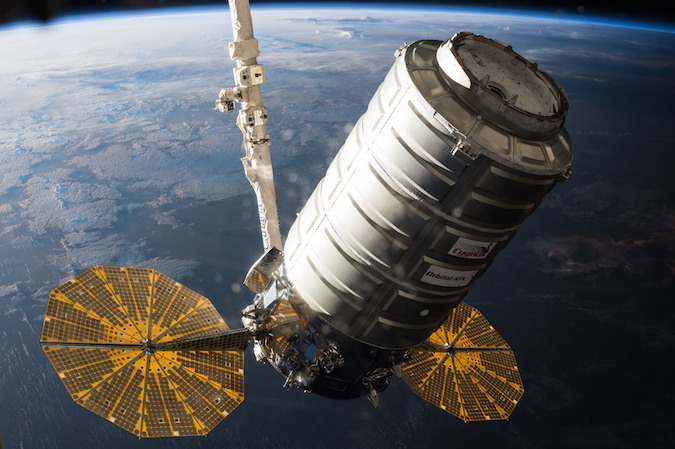 As it now stands, the Cygnus will be berthed at the Unity module’s Earth-facing port no earlier than Sept. 19. 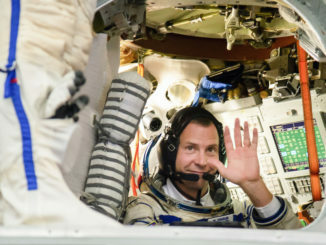 That will give the station crew time to wrap up work associated with two upcoming spacewalks and the departure of Expedition 48 commander Jeff Williams and his two Soyuz TMA-20M crewmates, Alexey Ovchinin and Oleg Skripochka, on Sept. 6 U.S. time. Three fresh crew members are scheduled to arrive Sept 25. The cargo ship shuffle comes at a particularly busy time aboard the space station. Williams and astronaut Kate Rubins plan to carry out a six-and-a-half-hour spacewalk Aug. 19 to attach a new docking mechanism to the front of the station that is needed by new commercial crew ferry ships. The SpaceX Dragon cargo ship that delivered the docking mechanism to the station is scheduled to depart Aug. 26, bringing research samples, no-longer-needed equipment and trash back to Earth. After the Dragon’s unberthing — and thanks to the Cygnus launch delay — Williams and Rubins will be able to carry out a second spacewalk on Sept. 1 to retract a cooling radiator that was extended in 2012 as part of troubleshooting to isolate a leak. The leak later was repaired and the trailing thermal control radiator needs to be retracted. Williams and Rubins also will inspect struts associated with a massive rotating joint in the station’s solar power truss that have shown signs of vibration. Other planned tasks include replacing a camera light and installing a high-definition television camera. Five days later, on Sept. 6, Williams, Ovchinin and Skripochka plan to return to Earth to close out a 172-day stay in space. Williams will eclipse former astronaut Scott Kelly’s U.S. space endurance mark — 520 days aloft across four flights — on Aug. 24. When he lands Sept. 6, Williams’ record will stand at 534 days over four missions. Rubins, Takuya Onishi and Expedition 49 commander Anatoly Ivanishin will have the station to themselves until Sept 25 when three fresh crew members — Andrey Borisenko, Sergey Ryzhikov and NASA astronaut Shane Kimbrough — arrive aboard the Soyuz MS-02 ferry ship. Kimbrough and Onishi were originally expected to carry out the solar array battery replacement work after the HTV’s arrival and before Onishi, Rubins and Ivanishin return to Earth Oct. 30 aboard their Soyuz MS-01 spacecraft. But if the HTV flight slips past the end of October, the battery swap out could fall on the shoulders of Kimbrough and Peggy Whitson, scheduled for launch to the station on Nov. 15 aboard the Soyuz MS-03 spacecraft along with European astronaut Thomas Pesquet and cosmonaut Oleg Novitskiy. But the spacewalk depends on when the HTV actually launches, and it’s possible the battery installation EVA could slip to another downstream crew. RD-181 engines prepared for shipment to U.S.